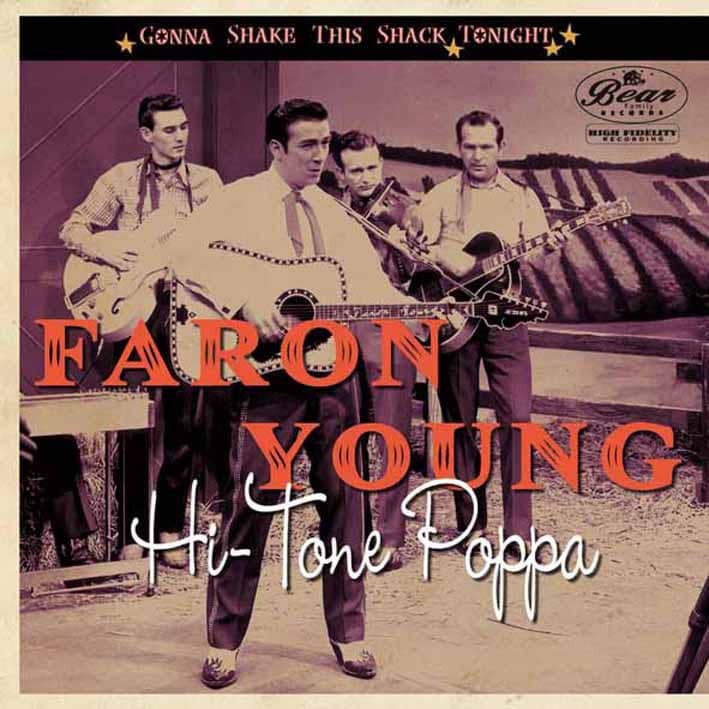 When Country Music Hall of Fame singer Faron Young was asked about the rockabilly and rock 'n' roll sides he cut in the 1950s, his answer was simple: "I was not cut out to sing that kind of music," he told David Booth, "but when you drop $400,000 a year, you'll try anything you can. I'd have tried to paint myself black! When I hear any of that stuff today, I turn fourteen flips in the air, I hate it!" What makes such a statement ironic is that while the teenage-themed pop-a-billy sides he waxed in the late 1950s were forced upon him and bear the authenticity of such, the fact remains that Faron Young's hillbilly boogie songs of the early and mid 1950s were as influential to the new crop of rockabillies as anything else, with their braggadocio lyrical content and aggressive boogie-woogie guitar-based sound. Songs like Live Fast, Love Hard, Die Young, I'm Gonna Live Some Before I Die, and If You Ain't Lovin (You Ain't Livin') preached a lifestyle that was immediately adapted by the first wave of rock 'n' rollers as their own. Almost as importantly, Faron Young lived the kind of life he sang about, a life that would define 'rock star behavior'—women, pills, booze, and lewdness of the highest order—which would become a mainstay of the four-letter word called Rock. This disc encapsulates but a brief time in Faron Young's long career, but is a perfect one to show how influential Faron was to the new music known as the Big Beat, and is the perfect compilation for those who prefer the uptempo hillbilly, rockabilly and rock 'n' roll side of Faron Young. 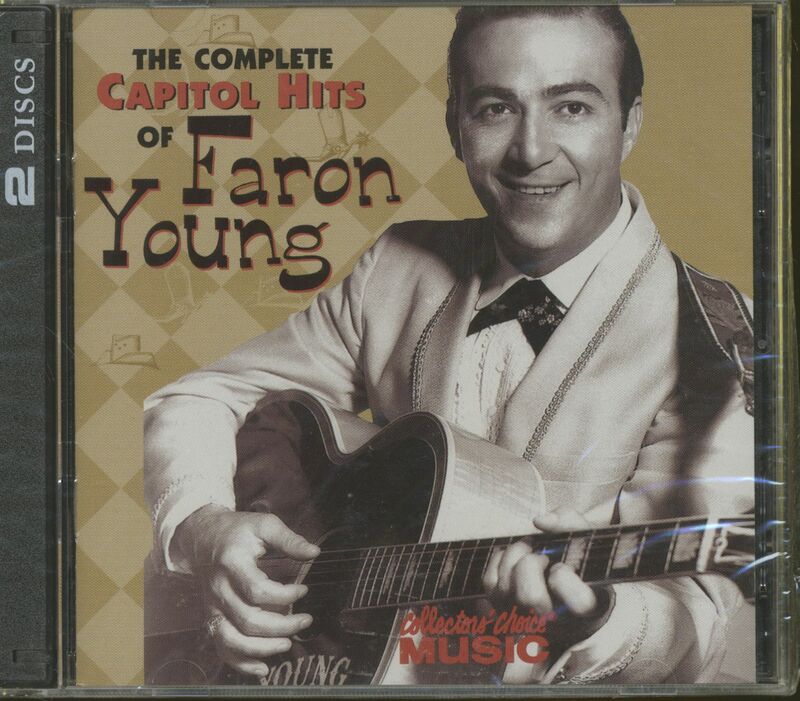 For a better examination of Faron's ten years on Capitol Records, check out the excellent Bear Family box set (BCD 15493) 'Faron Young—The Early Years 1952-1962,' which takes you all the way from his early Hank Williams sound-alike recordings, to his lush countrypolitan hits of the early 1960s, and everything in between. Faron also kept recording for Mercury well into the 1970s, recording such notable hits as Wine Me Up and It's Four In The Morning. 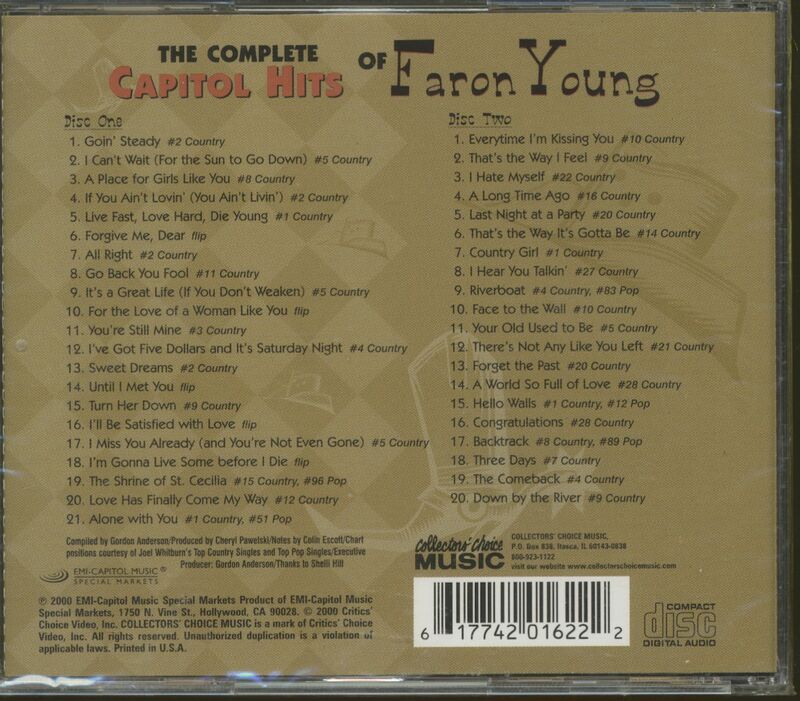 One thing that can be said of Faron's 30-plus-year recording career is that he always kept up with current trends in music—which goes a long way to explain the recordings on this compilation, which spans nearly every trend in country music from the early '50s until the early '60s. Faron was born on February 25, 1932 in Shreveport, Louisiana, a town that would weigh heavily on the ascent of his musical career. While he seems to have been raised in a typical depression-era household, he also appears to have been a typical middle-class American child of the post-war boom in every other way. He not only completed high school, but also attended college until the show business bug bit him. Country music seemed unimportant to his early life, preferring the pop music of the day such as Patti Page to the rough and rowdy hillbilly music that would eventually become his bread and butter. What got Faron Young into music was his lifelong need for attention. He began entering amateur contests at a young age, singing pop songs and picking coins off the stage for pay, but appears to have been steered into the country music world when a man offered him five dollars to sing Jambalaya, instead of the twenty-five cents he was used to receiving for a typical pop request. Customer evaluation for "Complete Capitol Hits 2-CD"